Understanding toddler challenging behavior is almost as difficult as understanding teenage behavior, with the added obstacle of a language barrier. Too often, parents assume their toddlers remain the compliant babies they’ve known since birth. Yet toddler hood is an important part of development and the time where children begin seeing themselves as separate entities from their parents. This new desire for independence clashes with their need to want to please others. This puts toddlers in a challenging position and is the root cause of defiance and acting out. This emerging role is not only hard for budding toddlers, but also for their parents. Fortunately, understanding and being compassionate toward toddler challenging behavior creates the supportive environment that children thrive in, while limiting their need to resist. Up until toddler hood, babies spend their days following a routine put in place by someone else. When toddler-hood approaches, toddlers discover their own will to do things and their power in making decisions. The more influence toddlers see they have, the more they practice this authority. It’s important to remember that children have the urge to please, so challenging behaviors are not an attempt to rebel. Toddlers naturally want everything their own way as well, which adds further tension to pushing boundaries. 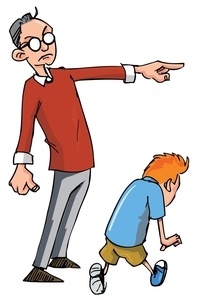 Discipline has little effectiveness here, as children are not aware that they are doing anything wrong. Instead, offer consistent, easy-to-follow rules. Give clear instructions and be firm in the tone of voice. By showing toddlers what is expected from them, they will soon understand what areas cannot be challenged. Children grow emotionally, socially and physically during the toddler years. To prepare for the time ahead, toddlers should have the opportunity to make decisions. While some rules are not to be disputed, other areas should be more flexible. By offering alternatives, toddlers feel less threatened and are more likely to obey when the answer is no. Allowing choices also encourages toddlers to feel valued and know they are not powerless in the world. Start small and let a child choose between peas or carrots for dinner or turning a light off before bed. It’s not just a toddler’s increasing independence and strong willfulness that can be wearing on a parent. Toddlers are impulsive, curious and endlessly tiring. Parents must bear in mind that children are not intentionally trying to be disruptive and best respond with empathy and patience. Use a firm yet kind voice, and keep rules steady and easy to understand. Toddlers will learn over time to have more control over their behaviors. Lastly, toddlers don’t have a concept as to “good” and “bad” behavior. They are also limited on their vocabulary, but are beginning to understand adults. Their need to express themselves can be complicated, causing sudden outbursts and tantrums. Not being heard is frustrating for a young child, so identify with the toddler by making eye contact and repeating his or her feelings using basic words. When toddlers know they are heard, understood and valued, they become well-adjusted, confident children. Anne Giordano: Whenever young children have behavioral concerns it’s upsetting for everyone. Sometimes we can get wrapped up in wanting to just stop that behavior rather than thinking about the root cause of the behavior and really, if we stop there, it’s a missed opportunity. I think that’s a great reason to sort of want to slow down a little bit and think back to; why might this be happening? Mary Watson Avery: All behavior is communication and no matter whether a child is showing you positive behavior – what you perceive to be as positive behavior or you perceive as challenging behavior – the child’s telling you something. Can we guess what that child is trying to tell you? He’s excited to see you. Oops. Is that in your way? We just have to figure out what they’re communicating and what function or what need is unmet for the child. Once we understand the child more in their circumstance, we start to see it a little differently and then we can really work on what that student or child needs. Cathy Tormey: I would consider whether the child coming off a busy weekend. Whether the child’s coming off – if the behavior has all of the sudden changed. Has the child been sick? Are there changes going on in the family? I would ask if anything’s different or special happened. One of the kids recently had a pretty serious fall, and so now she’s frightened of going down the stairs. If I didn’t have that information, I wouldn’t be able to figure that out. Jamie Vallarelli: When a child is really pushing my buttons, I really try to take deep breaths and I try to get to the bottom of the problem right away, and try to get to what’s really bothering the child and help them work through it rather than just implementing a consequence right away. Janette Rivera: One of the things as a teacher that I do is observing the child. Why is she doing this? you know, taking notes on what happened before, what happened after, and how can you get that child to communicate her needs. It’s very important to understand where she’s coming from too. Kara Wanzer: One thing I ask teachers to keep in mind all of the time is to be reflective in their relationships that they have with parents and children. That’s the first thing that we need to think of as teachers when we enter a classroom. We’re also in a relationship with that child, so they are learning how to go about doing the right thing or what’s a really good pro social skill to have by just being in a relationship with you. Anne Giardano: I think whenever we’re looking at the behavior of very young children, certainly we want to always look at medical types of things and rule that out. Is there something medical or is there something physical that might be impacting the child? Is the child hearing adequately? Ann Gruenberg: Sometimes children have sensory differences that can affect how they behave, and they don’t always have deep-seated emotional issues associated with those. Tanya Moorehead: If students are over stimulated, they might retreat, and their behavior might be interpreted by the teachers as there’s something wrong with them, and in turn if a student is under-stimulated, they might jump around make a lot of noise, because they’re trying to meet that need of being stimulated. Ann Gruenberg: And there’s a lot of good information about children with patterns of language delays sometimes having behavioral issues because there are perpetually not able to express what they want or what they need using words. Michelle Levy: Sometimes stages of development involve behaviors that seem inappropriate or out of line but may actually be a natural phase that children go through. Anne Giardano: Very young infants have a job of establishing security and safety so they are going to cry. That’s the only tool that they have to let you know that they need you. A more mobile infant is going to do a lot of exploring and starting to get into trouble. But we need to remember that that’s what they’re supposed to do at that age. Michelle Levy: Toddlers often began to assert themselves by saying “no” over and over again, and that’s one of the ways in which they assert themselves. Maureen Ostroff: I would never get through a book if I waited for everybody to sit down and not sit criss-cross applesauce, hands in your lap. And you can’t get eighteen adults to do everything the same way at one time, let alone eighteen three- and four-year-old. If you look at the standards, it’s not an expectation for all eighteen kids to sit there like this, and just look at a story. Maureen: Once upon a time, there was a little old man and a little old woman. Maureen Ostroff: They’re not all going to sit, and this is why we do two small groups also for the story. And it’s okay if they’re touching the book during all that time, and they can grab the book from me. It’s alright; it’s just part of being three and four. Michelle Levy: I think having adults be able to look at the Early Learning Standards, consider what is typical in the development of these various skills can really provide a useful tool for both understanding child development and where things may be out of step. Anne Giordano: We always need to be thinking about what might be a uniqueness that a particular child might be bringing. Some children are very auditory learners. Some children are very kinesthetic learners. Child: A bunny, like this! Hop! Hop! Hop! Janette Rivera: Every child is unique, and as a teacher, we all need to adjust. Step back and think about the child through observation, through play. Whether they’re shy or they’re more opened up. Child: I’m trying to be the doctor here. Okay? I’m trying to save the baby. You can be the nurse, okay? You want to be the nurse? Ruth Ettenberg Freeman: Most people think that their experience is what everyone’s feeling. So if you like physical contact, you give a lot of physical contact and they might be trying to get space. They may be getting too much stimulation. You have to understand that your way of being in the world is relative. Tanya Moorehead: How the family interacts with their child is very important. I think that’s how you find out about family culture. One child might be able to run around freely and explore their environment while the other one was taught to sit still and only move when an adult gives them permission to move. So if you have both within your classroom and you have one child exploring and the other child who’s timid or appears to be timid, it is not that one is not learning and one that is misbehaving, it’s that they’ve been taught differently within their households. Yotisse Williams: Cultural influences are a very big part of, I would say, the child’s development. In our classroom we really encourage self-help skills, and there’s one little guy I’m thinking of in particular, Dad does everything for him at home, and it’s a cultural thing you know, Mom has shared with me. But the thing about that is, when you have an environment that’s conducive to parents sharing, then you have an understanding of what those cultural influences are and how to support them. Also how to get the parents to see what you’re trying to do we have to back up a little bit and get to know their parents. Anne Giordano: Every home brings its own culture. We need to learn about what the family routines are so that we can understand them and then partner with families to say, “well let’s work together on how we might be able to help your child master a new skill here. Anne Giordano: Children’s external environment has a large impact on how they’re able to to manage themselves. Highly destructible children are going to have a really hard time maintaining focus and attention and staying on task if they’re constantly bombarded with sound and activity. I think sometimes it’s a really good practice for teachers to maybe just sit on the floor, and just look around and listen. One sort of general rule of thumb is if you have many children exhibiting the same behavior in a space, you might say to yourself huh I wonder whether we need to look at this environment. If someone’s biting in the block corner, perhaps it’s too tight of an area and we’ve got too many children congregated there. We also can think about whether do we have too much space. So do we have children running all over and banging into one another. Ashley Anderson: To me, having an environment that is calm and safe and free of run spaces so no one’s doing laps in the room—it really affects their behavior. I strive to have as many natural fibers and materials in my classroom as possible to lighten the mood and to bring it down to a calming level. Soft music playing during meal times. And so making sure that we are aware of what their environment at home is like and then adjusting our classroom environment. Anne Giordano: If the child has had a lot change in their environment at home, maybe there’s been a disruption in where they’re living, maybe there’s been a family separation. Well they’re then having to function in environments with different expectations, and that’s a lot for a little one to learn the rules in all of those place. And while we’re not going to change those things, we need to kind of know about that. Pat Kitchen: They just go with the flow and know that they need some positive reinforcement, everything’s gonna be okay. And they’re not verbalizing that and trying to talk about it but you know that’s affecting the behavior. Anne Giordano: Children can only do what they know, right? They just haven’t learned new things yet. So, it’s our role as teachers, and parents, and caregivers to teach those new things, new skills for them and give them plenty of time to practice them and we have to be patient and remember that they are learning. Stop. How are we using these balls? Can you feel how hard this is? What would happen if it hit a friend? What would happen if you threw it and it bumped a friend? Ouch! That would make a big boo-boo. We’re going to roll the balls; you may roll the balls. Cathy Tormey: We do a lot of talking when there is inappropriate behavior. You know, I address that and I’ll say, “No, that’s not nice. Hitting hurts,” or “You took this away, and now she’s sad.” Child: Me. Cathy: Wait a minute, you have to use your words. Ask Lexi. Child: May I have please? I take it! Cathy: See? She shared with you. Mary Watson Avery: Behavior is one of those things that adults think children should just kind of learn or pick up on their own. I ask teachers to think of it as, you know: would you expect them to learn how to read on their own? If I want them to act this way, do they have the skills to do it and if they don’t how can I teach? How can I support them? How can I remind them of what to do? Preschool teacher: Dustin, he doesn’t know what you want to say unless you use your words. What would you like to tell him? What would you like to tell him with your words? Child: Please don’t do that. Anne Giordano: All children from their earliest days learn how to regulate, learn how to feel safe, learn how to function based upon the very earliest attachment relationships that they’ve had. But we also know that not all of our children have had that good fortune. We have children who have experienced trauma. We’ve had children that have had disruptions in their home life. We’ve had children that are experiencing toxic stress all around them in their family lives and we have to remember that those children are going to come with us with really strong needs and usually those are the behaviors that are the hardest to manage and they need us the most. But then what we have to do is remember that that child is asking for our help and really what they’re saying is that I feel unsafe and I feel insecure. Kara Wanzer: It might not be something that we have control over but we do have control over helping them build more skill in emotional literacy and pro-social behaviors and things like that. There are times where it’s really important when we’re working with kids who really have a challenging behavior – so we’re talking persistent, over time, that’s interfering with their social relationships or their learning and for those kids they need a team. Anne Giordano: These are times that we often need to think about what other referrals might be appropriate to support that child because it’s it may be bigger than what we can to re-mediate with in a center environment or in a care-giving environment. And we can work in tandem with them so that we are all working on the same the same goals in using the same strategies. 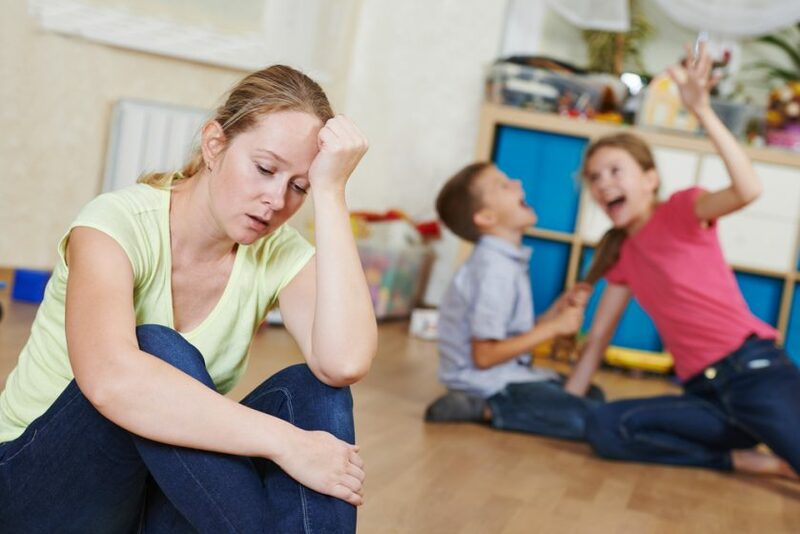 Kara Wanzer: It’s really important that we see the whole context of the situation and the whole child – what the situation is for a child; what their temperament is; what their environment is; what their home life is. What are this child’s strengths and then how can we build on what the child already has? Anne Giordano: If we understand the root cause, and it takes some work to figure it out, but if we can understand that, it gives us an opportunity to teach. And that’s really what we want to do, is use as a learning point for children to grow from, because much of it is practice and learning. We have to teach them..